With the season heading into the home stretch we decided to get back to basics with our interviews and chat with one of our hard-grafting front row lads. He’s one of the team’s top try scorers this season, though he’ll tell you others do all the hard work and he’s always an exciting player to watch. Big thanks to Dave Porecki for taking time out of his day to chat with Matt Merritt. Let’s start with Cornwall last week, a great game in the sunshine. How did you feel coming out of that match? All the boys were pretty happy to be honest. The first 40 minutes, for me personally, was probably some of the most exciting rugby we’ve played, especially in this back end of the season. We strung together a really good half that helped us and broke down Cornish a lot. They came out in the second half and we had to almost change our game plan. They were chasing the game and coming at us so hard. They obviously went in at half time questioning what they needed to do and they threw the kitchen sink at us! We knew they were gonna come out hard in the second half, we were probably a little ill-disciplined giving away so many penalties at the start of the half and letting them back in the game. We had some good defensive sets but they ended up with that cheeky try from our fumble. I thought it was great though, I was excited! We were putting some good variation into our game which is something we’ve been working on all year but it’s game day that counts and we finally put a little bit more play into our game! It seemed to me watching the game that the conditions on the day; dry, sunny and not much wind (by Cornwall standards) allowed the team to really throw it about and give us a performance that we’d seen the team building towards in recent weeks! Yeah Definitely! We got a dry day down there – I’d never played a dry game down there until this game, so 3 games and it was always wet, with the game we lost this season being the worst of them all. It was good to see Penzance in a different light, I really enjoyed it. It actually reminded me a little bit of home being out on the seafront like that. In terms of the playing the field was really good, quite quick which suits us because that’s how we train, playing expansive rugby. I think it came to fruition that weekend! Yeah it was a great game, even if the backs did rack up all the points in this one! You’d be surprised how many people have spoken to me about that! Honestly though, I’m not being humble here, it’s all the other forwards doing most of the work in mauls. I’m literally at the back just waiting for the opportunities. I guess there’s a patience element to it but they’re doing all the work getting us forward. Seeing the backs score is great because it takes the pressure off and we can add an element to our game. Teams will look at us and know we’re not just a forward dominated side, they’ll know they have to defend our backs so well or they will be in trouble. Adding some expansiveness in their defence makes it easier for us as well, their forwards aren’t condensed in the defensive line. Well hanging off the back of a maul was good enough for Paicey for many years so I wouldn’t put yourself down too much! I’ll take ‘em don’t get me wrong, I just think it’s a massive forward pack focus, there’s never just one person in the maul. If you can get 8 forwards in the maul working on the same page you can do some serious damage! All it takes is one or two players on the other team to slip off 10% and you’re in a good place. That hits the nail on the head, it feels like you guys are all on the same page right now, really in tune with each other and that’s exciting to see! It’s easy to lose sight, because the season is so long, of the ultimate goal. At the start of the season we came together as a playing group and talked about what our goals are. The main one is obviously promotion but you can’t think about that every week, you’ve got to think about your own game and the team game. Every team you play is a different challenge. If you just think ‘Oh, we’re gonna be promoted’ you’ll slip up and we’ve done that a couple of times this season. It’s been a long run and everyone having that in the back of their minds is positive but if you’re not improving week to week you’ll slip as we did. We’ve probably had a couple of weeks where we’ll feel we could have done better on reflection but everyone is glued in now, we’ve got a good four games left. Everyone wants the result; we’ll be working hard toward it. Especially coming off the result against Cornish, we went down there not knowing what to expect – obviously we lost the last game there- so just putting out that really strong first 40 minutes and then holding them to a single try was really positive for us going forward! With no games this past weekend did that give you a bit of time to rest and recoup? We got three or four days off to relax over the weekend, we trained hard in the week, kept on top of things. It gave us an opportunity to keep on top of things and do some extra stuff. We reviewed Hartpury quite early, next week we have a short turnaround we had an opportunity to review both teams but our main focus has been on Hartpury, they’re looking quite dangerous. They’ve been bolstered in recent weeks by players from Gloucester and other Prem teams and they’ve had some good results. What are you expecting from them? They’re quite forward oriented so if they get gain line and win the physical battle we’ll be in for a tough game. We’ve played them a couple of times and that’s how the show goes, I don’t see them being too different. Obviously, they’ve brought in some players from different Premiership teams to add to their stocks, forwards and backs so I think the quality is going to be high but I’m expecting a forward battle to be honest mate so we’ve all just got to be switched on. Well hopefully the weather holds for us! I hope so. I’m expecting rain but if it’s sunny that’s a bonus! One of the big features of this campaign has been seeing the same teams multiple times in quick succession and we have that again at the end of the season with a double header against Ealing. Does that make it easier to prepare or do you think those quick rematches change teams’ mentalities and approach? I see your point and in terms of review, once a team shows you something one week you don’t expect them to do something completely different the next. Mentally though they could be switched on or switched off. You might rock up and play say Doncaster one week and get the win, you play them again the next and they come out completely fired up and ready to go. For us when we do get the chance to play these fixtures everyone needs to be mentally switched on for both weeks. We’re not going to show them a different picture to what we’ve shown all year it just comes down to the old cliché of who wants it more and who is willing to put in a performance as a full 15 – or full 22 – people. I guess the classic example would be the Carnegie game. We’d battered Yorkshire a couple of times so you could picture those lads ringing the date on the calendar and wanting a bit of revenge. Yeah 100%. It’s probably what we did with Cornish to be honest. As soon as we came off the field (in the defeat) a lot of the boys were waiting for the opportunity to play them again! One of the things we like to talk about in these interviews is what players get up to away from rugby. Do you have any particular business interests or hobbies? Outside of rugby I’m doing a diploma in applied financial trading, so that’s my biggest focus outside the game. I’m an RPA (Rugby Players Association) rep as well so I’m massive on players doing stuff outside of rugby, I think it enhances their game, makes them a better person and just adds a string to their bow which is really important. Aside from that we’ve got a good coffee group in Richmond where we like to hang out, I’m an avid poker player too, so if anyone fancies a game hit me up! You mentioned there about being the RPA rep for the team, what does that entail? The majority of it is making sure everyone is covered, chasing boys up to get linked in. I work closely with Kim Johnson who is our PDP manager. She does the stuff outside of rugby – we put on a lot of experience days and tasters for the lads to have a dive into different things they might not normally do, we’ve done coffee courses, trading days I’ve put on with the place I’m doing mine. Canterbury did an insights day. It’s good for boys to try different things because we’ve got so much spare time. Aside from that I spend a lot of time speaking to everyone about their opinions on different parts of the game. I’ve only been around it professionally for 6 or 7 years, you’ve got guys like Brendan McKibbin or Franco (van der Merwe) who have been in the game for so many years they’ll have different opinions on certain things so its always good to hear their perspective. Then I can feed that back into the RPA and that gets cycled back to Prem rugby and the RFU. The biggest topic right now is obviously ring fencing! 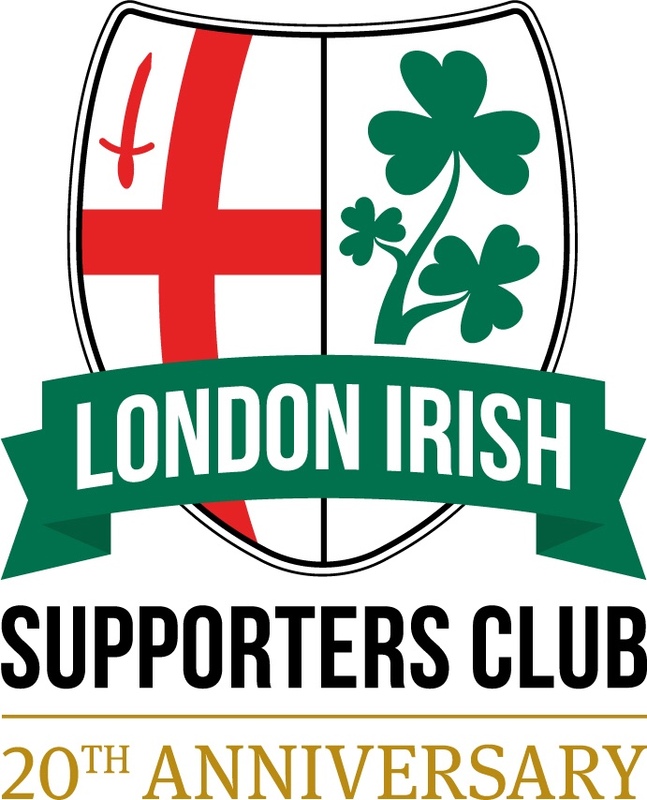 Our thanks to Dave for his time and insight, to @RugbyLI for carrying out the interviews and to the club for their ongoing support!